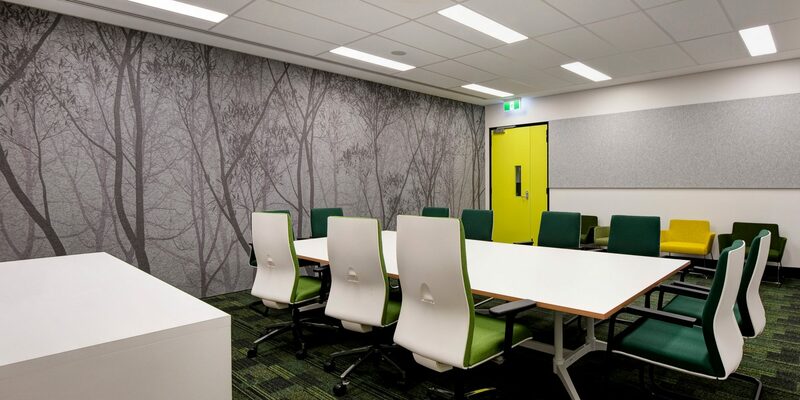 This project was a fast tracked fitout that renovated the entire floor of the JMT tower, a significant office building in Sydney’s Justice Precinct. 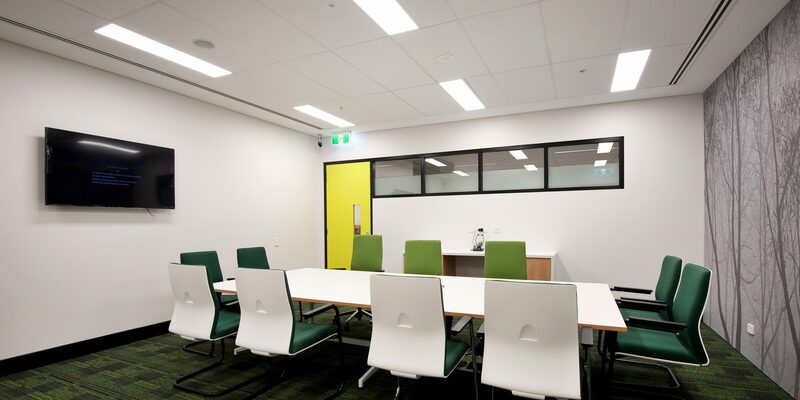 The public access areas of this department required special attention to the potentially highly stressful nature of the matters being dealt with in the Hearing Rooms. 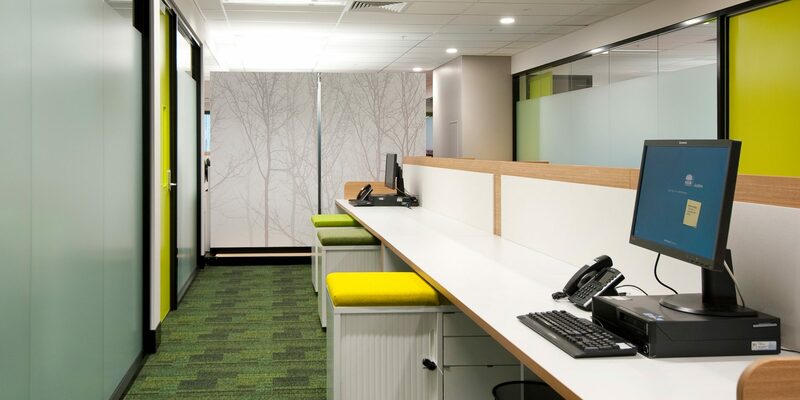 Therefore a calming “Bring nature inside” scheme gave birth to the green, timber and tree theme. 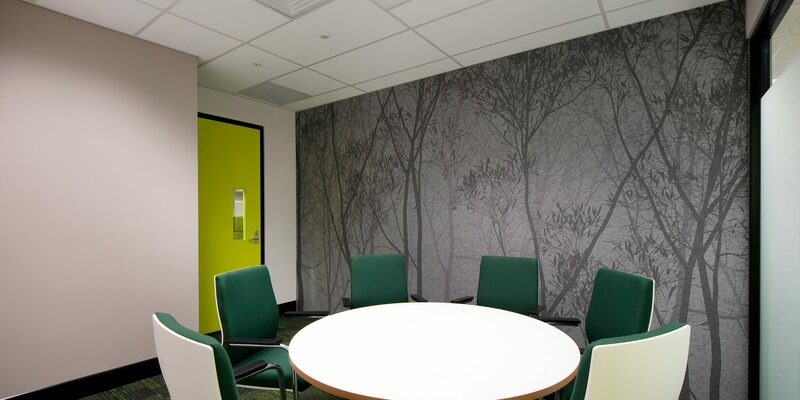 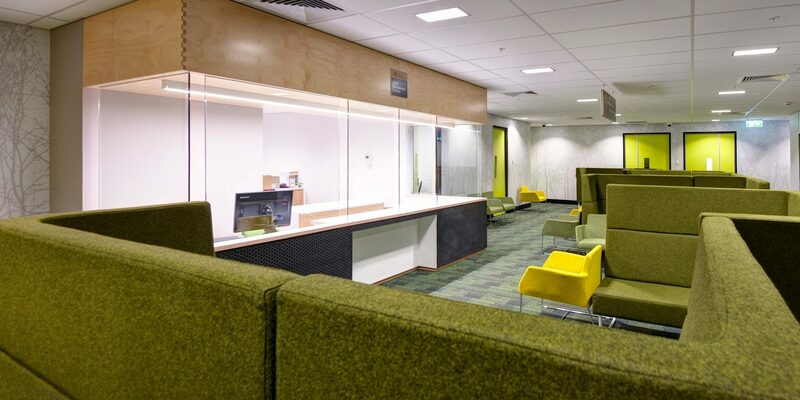 The graphic wall coverings and acoustic panels motifs were designed and installed by bleux, who ensured the forest trees calming influence was dominant in both Waiting and Hearing rooms providing acoustic value and hard-wearing wall surfaces.